Hey there! 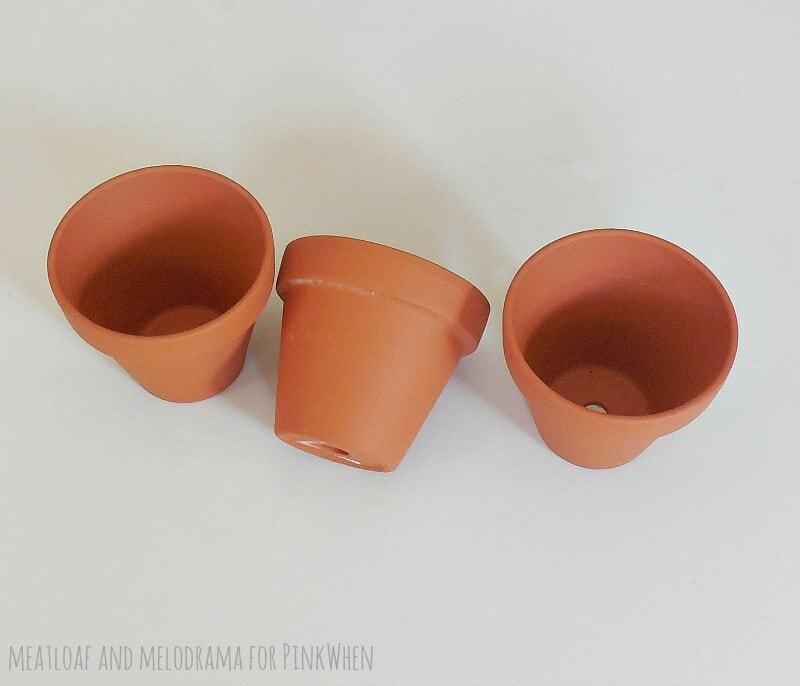 It’s Dee from Meatloaf and Melodrama, and I’m back at PinkWhen this month with an easy way to bring a little bit of green into your home with some succulent pots. Now that Valentine’s Day is over, I’m in the mood to start decorating for spring, and I thought adding a few plants to the room would be a great way to start. But, I definitely don’t have a green thumb, so I chose some easy care succulents. And since I wanted the display to be nice and bright, I found some plain terra cotta pots, and I turned them into a trio of colorful, rustic succulent pots. I found these ordinary terra cotta pots in the craft store, but they were definitely in need of some color and style! I love the color aqua because it reminds me of the sea and warm weather and everything nice! 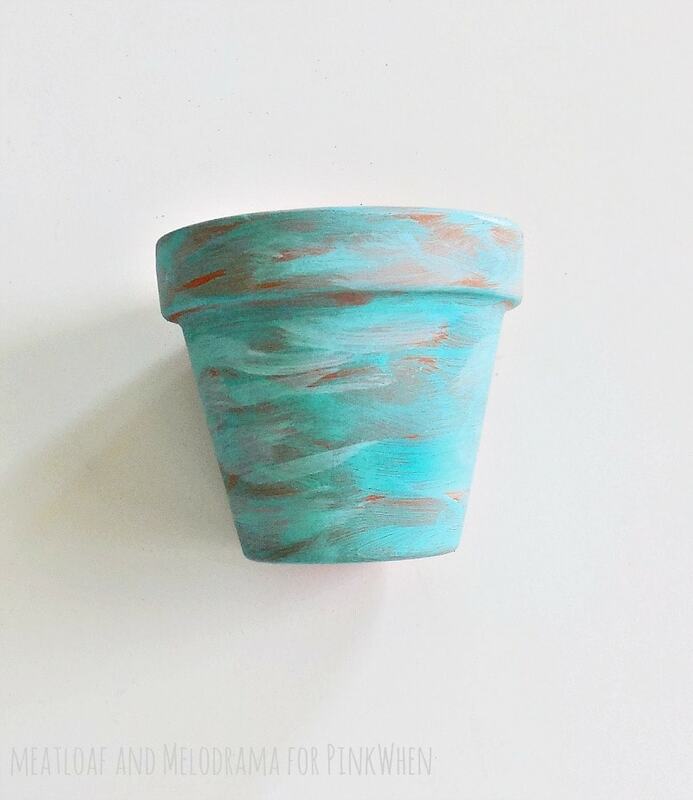 So, I painted the pots with a rough coat of aqua-colored acrylic paint. Since I wanted them to have a rustic vibe, I used a foam brush and made sure that the terra cotta color was still visible in certain places. Then, I brushed some white paint over the aqua layer — just enough to tone it down a little bit. I liked the color, but I thought that the pots needed a little something extra. So, I wrapped some twine around the pots and tied the ends with little bows. 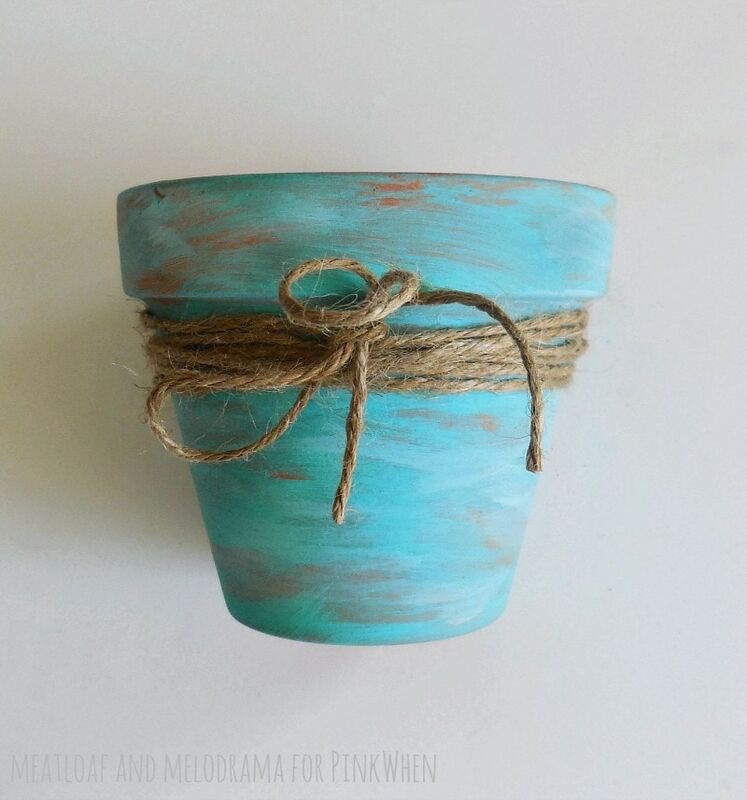 It’s always fun to add those extra touches, and I think these succulent pots look so cute with the added twine and bows. Then, I added some potting soil, planted the succulents, and that’s all it took for this little decorating project to be complete! 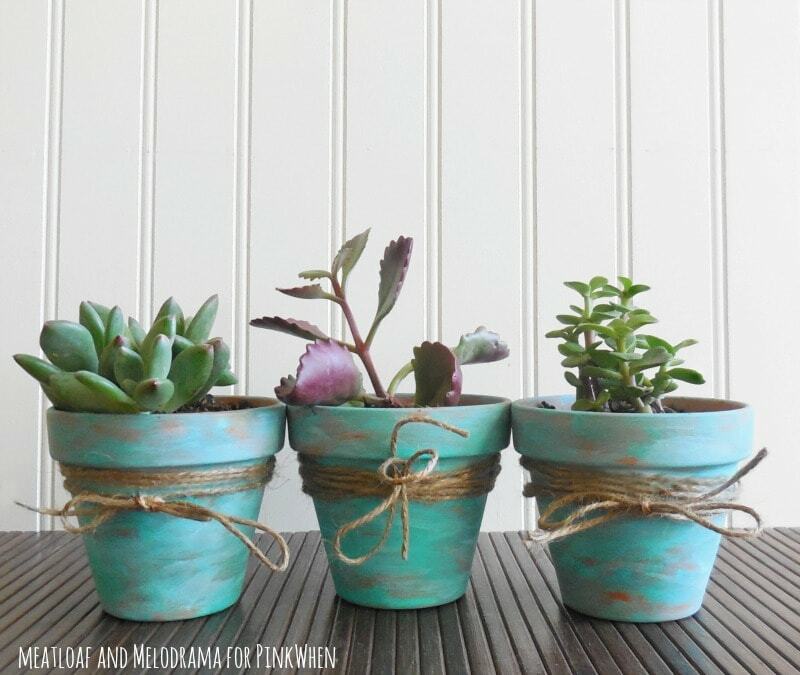 I love how the rustic succulent pots turned out, and the aqua adds a nice pop of color to the room. And If you don’t want to use real plants, you can always buy faux succulents and use those instead. 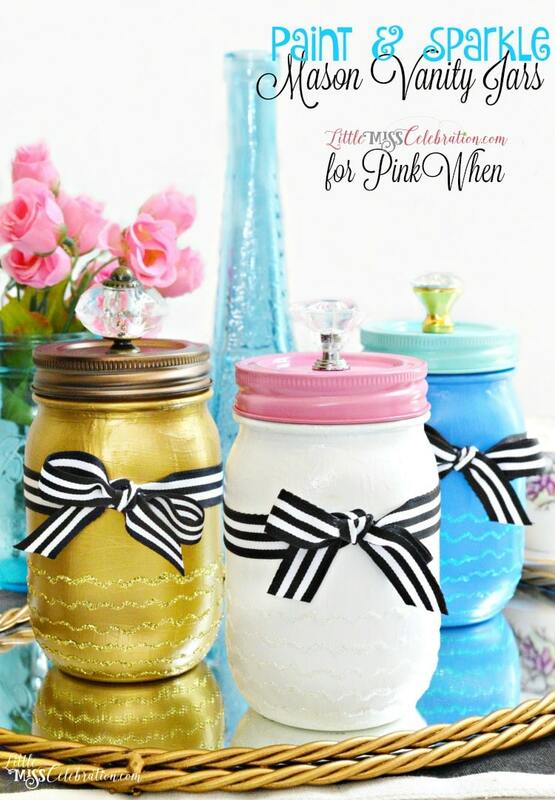 If you like this tutorial on succulent pots, check out what I created with these plain mason jars. Cute pots! I love succulents, too! These are so fun! While I can appreciate the look of the typical terra cotta pot, this definitely takes it up a notch. I also love the twine around it. It really gives it that dressed up but rustic feel! So pretty! These totally have me wishing for spring! 🙂 Pinned! I love your little pots, very pretty! Love the color choice. Love, love it! Love the simple creativity! Something like this would be great in my kitchen! Saying hello from the weekend hangout link party! What adorably cute pots! I wish I didn’t have the black thumb when it comes to plants. These would be perfect decoration pieces for the house. Thank you so much for partying with us… Featuring you this week on the blog! Love this project…I’m a huge succulent fan. I’m attempting to winter over my big summer succulent garden…I hope it can make it a few more months! This would be fun to try since I think I will have to replant them. Thanks for sharing it at #FoodieFriDIY! I love these pots. They are so adorable. I am new to crafts like this. What kind of paint did you use? I can’t wait to try this out 😀 Thank you for the idea. Do you have to water seal the inside so watering doesn’t ruin paint job?